Shades of blue are one of the least common color schemes of pepper plants. The Filius Blue, therefore, stands out among ornamental peppers, with its tiny chilies taking on deep dark indigo blue and purplish hues. It’s a compact chili pepper plant, as suitable in a garden hedge as it is in containers. And its heat? Well, the Filius Blue has bite, with cayenne pepper level heat, that’s great for spicy salsas and sauces. 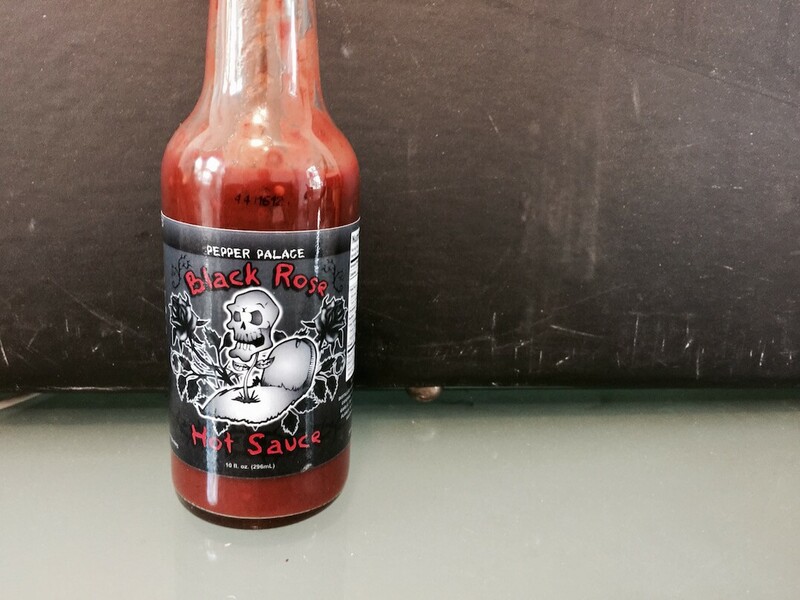 How hot is the Filius Blue pepper? Like most ornamental peppers, there’s a bigger bite than you’d expect from chilies of these sizes and beauty. 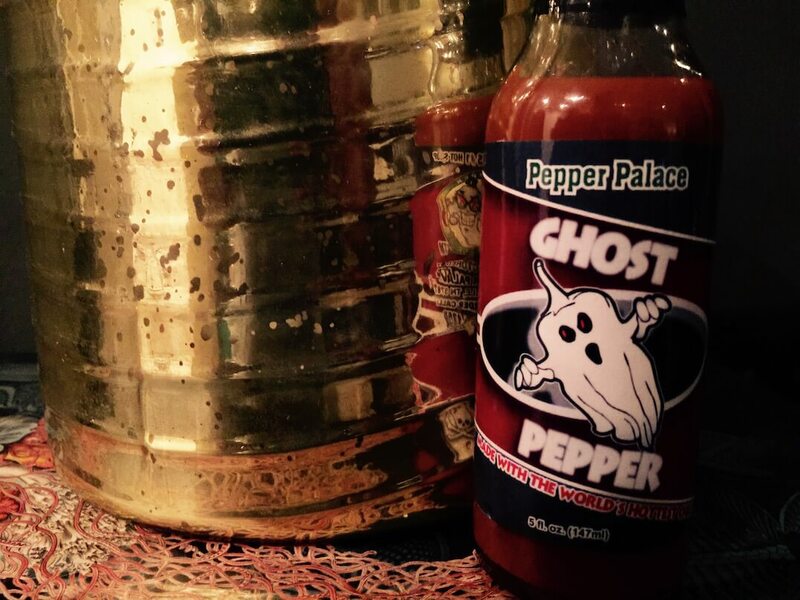 It ranges from 30,000 – 50,000 Scoville heat units which is the exact Scoville heat range of the cayenne pepper. Compared to our jalapeño reference point, the Filius Blue will be four to twenty times hotter than a jalapeño pepper. 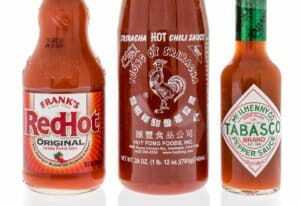 Notably, though, it’s not the mature version of the pepper that seems to carry the highest level of spiciness. Typically, the longer a chili is on the vine, the more capsaicin (the chemical that creates the heat sensation) is in the pepper. 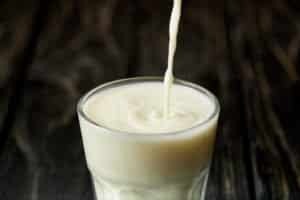 But the Filius Blue bucks that trend according to most eaters. 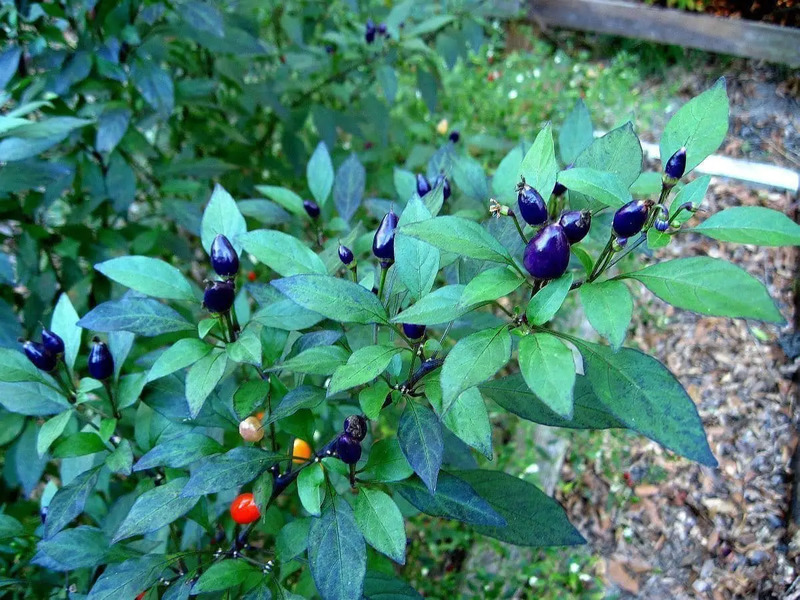 The chili matures from its beautiful blue and purple colors to orange and finally red. The indigo blue has the real bite here, while the mature red calms every so slightly. It’s all still within the range, just opposite the typical pattern. What does the Filius Blue look like? It’s a compact beauty, great for indoor and outdoor use. The plant itself grows 12 to 24 inches tall – perfect for larger containers – with beautiful purple and white flowers. But it’s, of course, the chilies that are the star of the show. They are conical in shape and tiny – approximately an inch in length. They age from an indigo blue and purple to orange and finally red. It’s a robust grower, too, so there’s many chilies growing at all stages of color – blues, purples, oranges, and reds. Like all ornamentals, you can eat Filius Blue peppers, but also like ornamentals the flavor is bell-peppery, but not overly complex. They sweeten (and, again, in this unique case lessen in heat) as they age. No matter the age, these are pretty darn hot to use as a “daily driver” chili – most ornamental peppers are. They are grown for their looks first, not flavor. If jalapeño heat is a challenge, you’ll want to use the Filius Blue in moderation even with the small size. It’s obviously a standout as an ornamental pepper the blue and purple colors are some of the rarer colors in the pepper scale, so they bring something extra special to landscaping. The fact that it’s a compact plant brings extra versatility as the Filius Blue can work well in small spaces, like large containers and urban gardens. It can also be used as a filler around other plants. In the kitchen, you’ll have plenty of Filius Blue to use – the plant produces well. They work quite well with salsas and sauces. 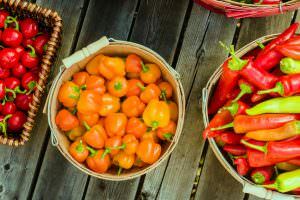 You can also use them fresh for salads and sandwiches, though it’s recommended to use the red chilies as they tend to be milder and a touch sweeter. 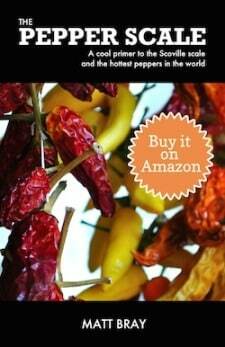 Where can you buy FIlius Blue peppers? 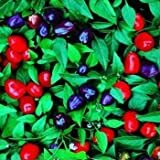 As a popular ornamental pepper, Filius Blue seeds and plants are widely available online and at many local gardening centers. Finding them fresh (without growing them yourself) is more about who you know. It’s truly an ornamental first and foremost, so look to those with a penchant for edible landscaping. 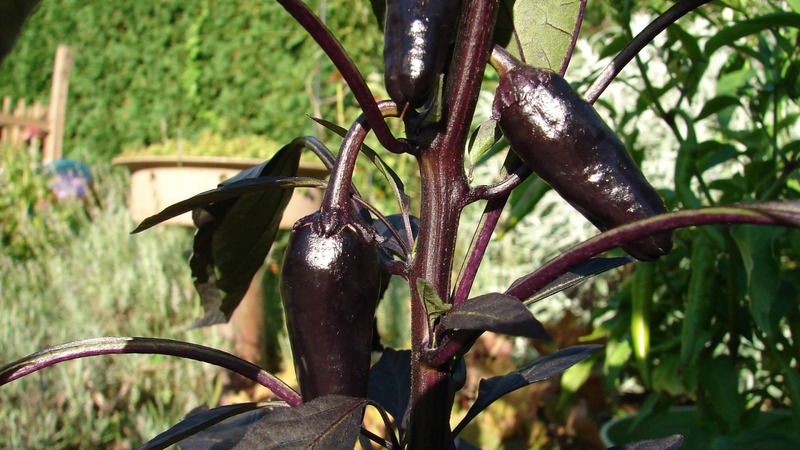 For those looking for something different among ornamentals, the deep blue and purple tints of the Filius Blue pepper make this chili a standout. Its compact size, too, provides plenty of flexibility for use. It’s a terrific choice for edible landscaping projects.